As a child, growing up in the Nicetown - Tioga neighborhood of Philadelphia, Pennsylvania. two events would occur regularly that imprinted on me, stimulating my curiosity and later influencing my decision, at the age of 13, to choose welding as a career. Several blocks from my home, was The Budd Co. During this time ( early 50s ) Budds was the worlds largest manufacturer of automobile chassis, frames, bumpers, and stamped body parts. At night, whenever I passed the corner of Hunting Park & Wissahickon Ave., I would be exposed to a mini light show. The intermittent flashing and pulsing array of light and sparks emanating through the elevated fogged windows was impressive to me. At the time I had no idea what was producing the light and the noises that accompanied it. Around this time in Philadelphia, the trolley car dominated public transportation in the inner-city. Near the street I lived on, the route 53 trolley would make a sharp turn onto Pulaski Ave., near the intersection of 16th & Erie Av. Periodically a PTC work truck would be there, usually at night. Again I would be exposed to an impressionable event. In the middle of the street a workman would have a three sided screen set up, about 36'' high. Behind the screen on a stool or sometimes on a knee was the workman. He would be wearing a dark mask , looking down at the tracks. Again I would be aware of the intermittent, pulsating array of light, sparks and a column of smoke emanating as a result of what the workman was doing. Eventually I learned that the light was caused by a process called "Electrict Arc Welding" and was being performed by a workman who was called a welder. However, I still had no clue as to what was actually going on or being done, only more curiosity. At Gillespie Jr. High School in 1957, I had metal shop, an industrial arts course. One of the projects was to make a finger ring. The materials needed included: approx. 1" black iron pipe, 3/4" sq. or round wrought iron bar, solder, paste flux, emery cloth. The tools were: hacksaw, files, pliers, soldering station and a ruler. The operational objectives were to: 1. measure and cut a ring from the pipe 2. measure and cut a piece of sq. or round bar 3. solder the piece (crown) on top of the ring 4. file and sand away until you produced a ring to your liking. Some of my classmates had difficulty with the soldering phase, after having given failed advice, I found myself performing this operation for other students. The teacher did not object; in fact he made a remark to me that indeed was prophetic. He said " You know, you would make a pretty good welder." I felt elated to hear this; however, I thought, where is the pulsing, flashing light, the sparks, the smoke and the dark mask. Dobbins had two welding shops with twelve stations each; one shop was "Gas Welding" (oxyacetylene ) only; the other was "Electric Welding" (shielded metal arc). The welding skills that I would develop over the years were firmly rooted at Dobbins. My experience at Dobbins laid the foundation for my success at other welder-training programs that I would attend over the years. After High School, I enlisted in the United States Navy; I chose Aviation with hopes of learning aircraft welding ( maintenance & structural repair ). 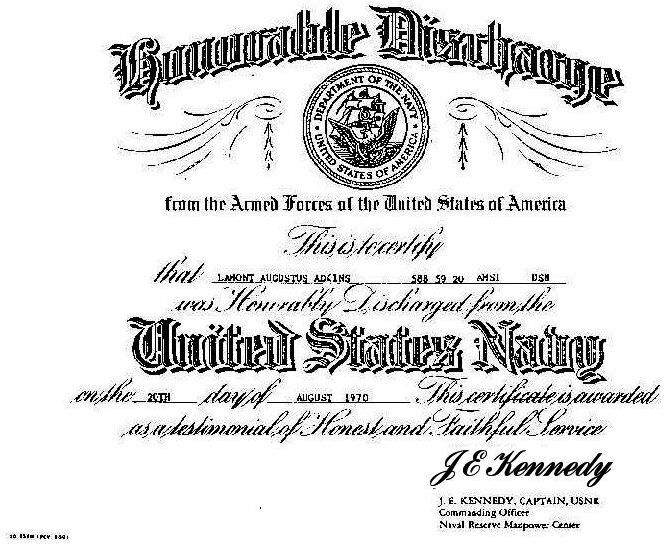 In 1964, I obtained my first Operator Qualification / Certification (Mil-T-5021) from the Aircraft Welding School (overhaul & repair), US Naval Air Station, North Island, San Diego, CA. 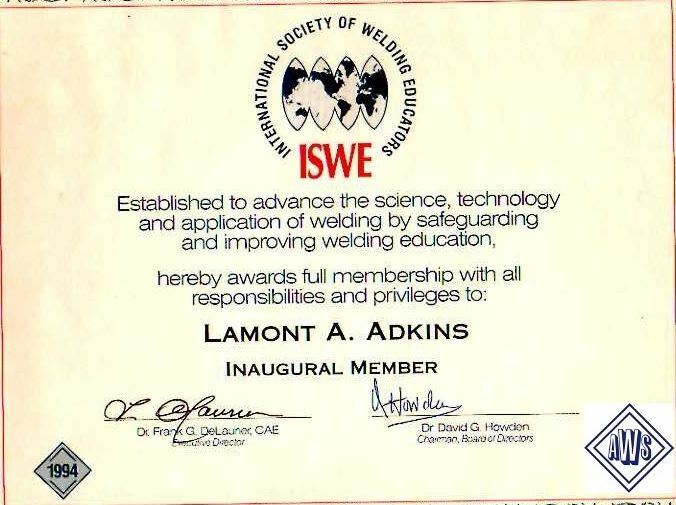 This certification proved to be invaluable and would be the first of many Welder Operator Qualification / Certification that I would attain over the next 45 years.